The term “SEO” makes us think of a uniform series of actions that must be taken in order to enjoy success with respect to our brands online and through search. 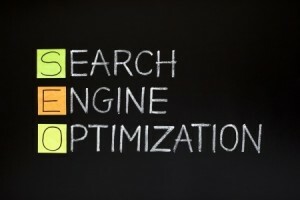 Unfortunately for those who believe this, SEO is a much more complicated subject that intertwines many different areas of expertise in order to create a more well-rounded approach to excelling with Google, Bing and other search engines. If you are learning about SEO but are not sure how to proceed with respect to implementing it, then the best place to start is by breaking its components down. Below, we’ll talk about ten areas in which you’ll need knowledge if you want to be successful in your SEO endeavours. This is the most basic and probably most thought of element of SEO, and it relates to the basic elements of ensuring your website has optimized content. This relates to page content, title tags, URL structure and meta data. Search engines will be able to properly categorize your content when on-page SEO is used properly. How can you target specific search results if you have not researched which keywords to target? Keyword research will allow you to find openings in search through which to push for higher rankings. By incorporating these keywords into your content, you’ll slowly but surely move up the ranks in these search results. Refining SEO to apply at the local level can be a great component of improving rankings when operating a business within a given locale or jurisdiction. Some common practices here include providing name, address and phone number on every page, setting up a variety of off-site profiles through sites like Foursquare and Yelp, and establishing social media pages to complement the effect. If you’re not using SEO in part to optimize the experience of mobile users, then you might as well be pinging noise to a large segment of the internet population. Mobile responsive design and specific targeting campaigns on organic search and paid search are a key part of any broader, successful SEO strategy. If you do not understand the basic premise of marketing, then you’re bound to fail at SEO. SEO is in effect marketing; you are promoting a variety of forms of content, products and services to those who might be interested in them. Once you grasp the basics of marketing, you can rise to the occasion and do better with SEO overall. Despite the rumours, guest blogging is still a viable part of SEO and a great way to build links around the web. By submitting a quality piece of content to an interested website, you’ll be able to build rapport with search engines and industry leaders alike. Last but definitely not least, you cannot forget about the role that social media plays in SEO. Not only can the correlation between social media and a website enhance overall rankings in SERPs, but the presence of an active social media account can be a great way to drive additional traffic to your site, products and content. Pinging noise and random blurbs through this method might not work, but combining the elements of marketing and content with use of sites like Facebook can have a huge effect. If we need to get more traffic from Search Engines then we should have some great knowledge about these topics, thanks for this post.